Eleven girls from across the county experienced an Indian themed Baden Powell Adventure weekend. Staying over at Acton Scott village hall, the girls were able to share the work they had done towards their Baden Powell Awards as well as taking part in lots of interesting activities. Over the course of the weekend, the girls worked towards their Sangam Challenge badge, which is being sold to raise money for one of the Girlguiding World Centres. The girls made curry and naan bread for dinner, tried some Indian sweets and had a go at henna designs. They also tried on saris and did yoga as well as various other Indian activities. 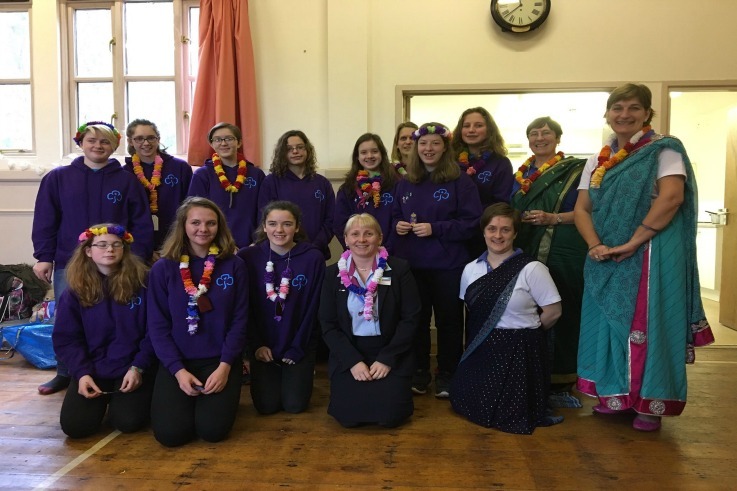 During their weekend, the girls were able to find out about the World Centres and international opportunities available to them within guiding, as well as the things they will be able to do as part of the Senior Section. Congratulations to all of the girls who received their Baden Powell awards, presented on Sunday by the County Commissioner.